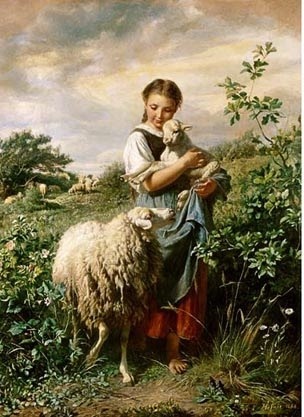 For a beautiful illustration of Proverbs 31, please go here. 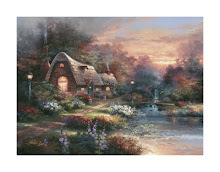 Please go here http://www.allposters.com/gallery.asp?aid=87577597&apnum=3297936&LinkTypeID=2&PosterTypeID=1&DestType=7&Referrer%20=http://lovelywhatevers.blogspot.com/2009/11/18th-and-19th-century-interiors-and.html and cick on the painting for a dramatic full screen view. 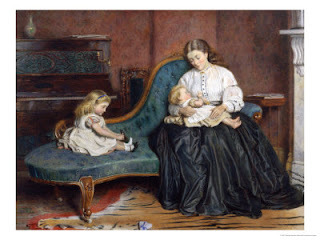 It is so interesting to see the details of this painting, especially the realistic way the little child is resting her head on her Daddy's strong arm, and the loving way he is holding her; so much like home scenes today, where fathers are dedicated to their children. 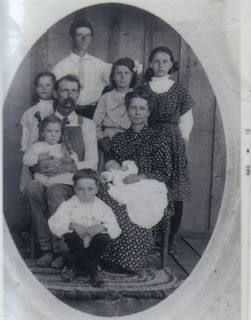 It is interesting to look into family history and discover the way of the home. 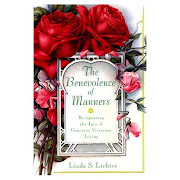 The past is rich with examples of life during times when it was more home-focused for the women. 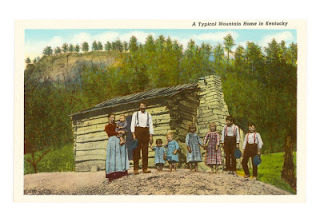 When I look at these photographs, I think of the hard work they did, such as the process of washing clothes. The physcial labor of the home was much more time consuming, as so much of it was done by hand. 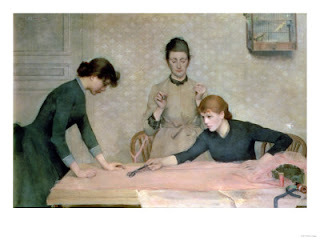 Clothing was sewn, stitch by stitch, and everything had to be ironed, with an iron heated on the stove. 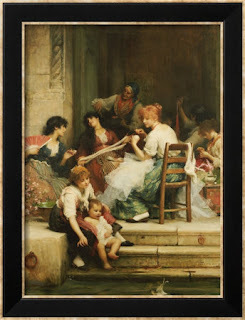 Today, homemaking is much easier and even a luxury, so I do not know why any woman would not want to be home doing that, instead of working for someone else. Homemaking is not all work, these days. It can include simple matters, such as selecting something to make a centerpiece on a table, or finding the right kind of ingredient in a grocery store, to go with a savory dinner. 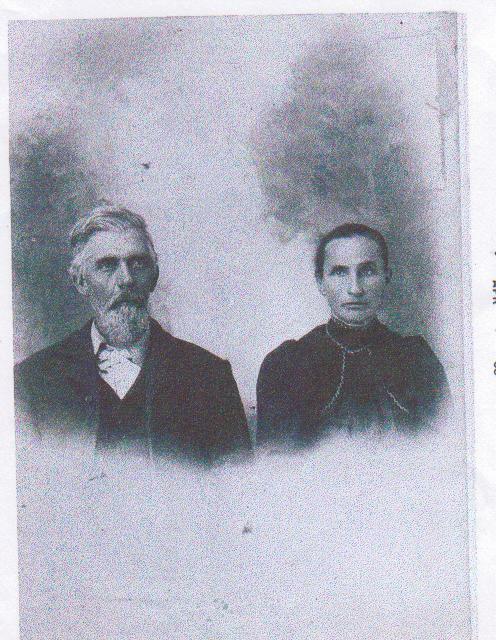 A photograph from my family album, my great-great grandparents. Their grandson and Grand daughter are my father and aunt. 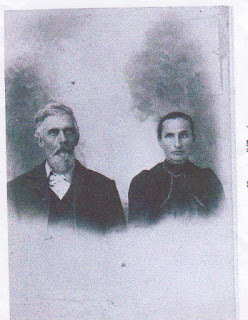 John Houston and Sarah Caroline Tackitt lived in the San Antonio area in Texas. At first glance, old photographs do not seem to "say" much about the lives of the people. 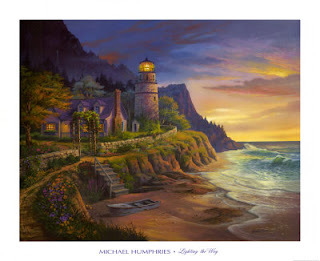 Just like the old paintings I have featured here, you have to look carefully to find the evidence. A person might, for example, discover the style of suit or dress and figure out the date of that style, and perhaps find historical patterns for that clothing. It is important to know something about your relatives and what they did, for you might find something worth immitating. It is even better if you can find out something about their spiritual lives and what they believed about things like honest labour, enterprise, marriage, fathers, etc. How was the home a centre of family life in those days? It is good for people today to know something about the people that settled this land. It gives young people something to live up to, if they know some good things about the people that went before them. Lacking this, however, every one has the Bible, which gives the spiritual history of those who embraced the teachings of God. That is even more important than knowing the history of your own relatives, for no matter how they lived, it is most important to pattern your life, as a homemaker, after these divine teachings. Seated with the newborn is Lillie, the daughter of Sara-Caroline, the dark-haired woman in the previous photo. All the girls clothing was handmade by her, and the rug looks like one she made. I have the little gown worn by the baby. Go Here and click on the image on that page, for a larger view. This looks like one of the autochromes (potato starch) photos that I was talking about in a previous post. Notice the Daddy holding the hand of his child. 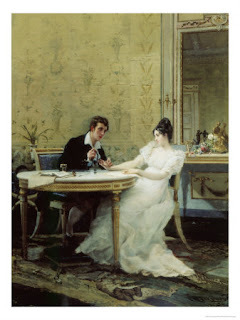 Regarding the painting by Joseph Clark, please go to http://www.allposters.com/gallery.asp?aid=87577597&apnum=2827658&LinkTypeID=2&PosterTypeID=1&DestType=7&Referrer%20=http://lovelywhatevers.blogspot.com/2009/11/18th-and-19th-century-interiors-and.html and click on the picture and get a full screen view. 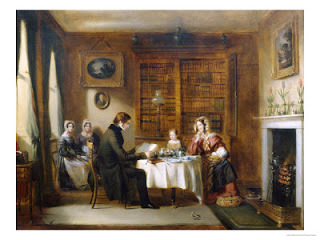 Keeping the dates of the artist in mind, does anyone think that the black box on the mantel is a radio? If not, what do you think it is? The full screen picture is fantastic, so be sure to view it. Women were created to love and guide the family. The world may march on and shout "progress!" but if the home is neglected and children are not guarded, or divorce is rampant, it cannot be progress. If a woman can keep house, and raise her children with good values, keeping her marriage intact, that is real progress. We will find, in years to come, that the people in previous generations lived higher-quality lives, due to the fact they could hold their families together. Despite all the modern counselling and marriage books, our generation has not been made better. The question usually arises: "Is it too late for me?" As long as we live 'n' breathe, I believe there is opportunity to get on the right track. No matter what you have done in the past, it is possible to leave that path and follow the path to peace: the old ways, where the good walk is; the way of the home and the family. Despite deliberate attempts to do away with the family, it will never change. God would never have written that women should keep house, if it was impossible to do so. There are several ways to find a model for the truth of how women can fulfill their responsibilities at home. One is the Bible. The apostle Paul told Christian women in several different letters to guide the home, guard the home, and keep house. (See Titus 2, and 1st Timothy 5:14 ). 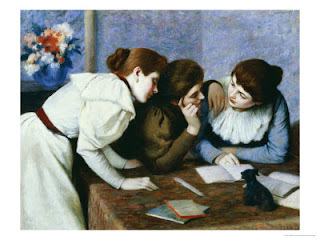 Another way to gain knowledge of women's duties at home is to study the past, when more women stayed home. Contrary to popular modernist belief, women were not oppressed and unhappy, begging to leave their homes. 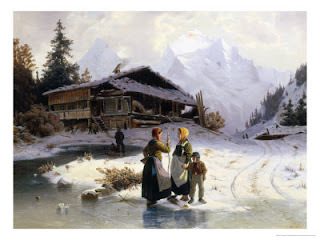 To get women to leave the home enmasse, they had to be convinced that they were not needed there, and that they could not survive unless they worked outside the home, facts that simply were not true, but were spread by the media, the education system. The banks and real estate companies played a large part in getting women to believe they had to work outside the home, in order to qualify for home loans. 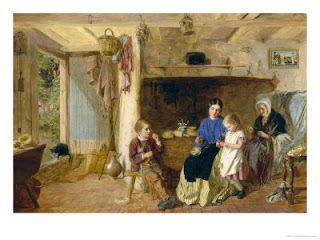 Long before this exit from the home, women stayed at home, whether they had children or not, because they knew it was their responsiblity and they would not neglect it. Their husbands did not make a fraction of the money that men make today, and yet most women stayed home and lived off their husband's salary. 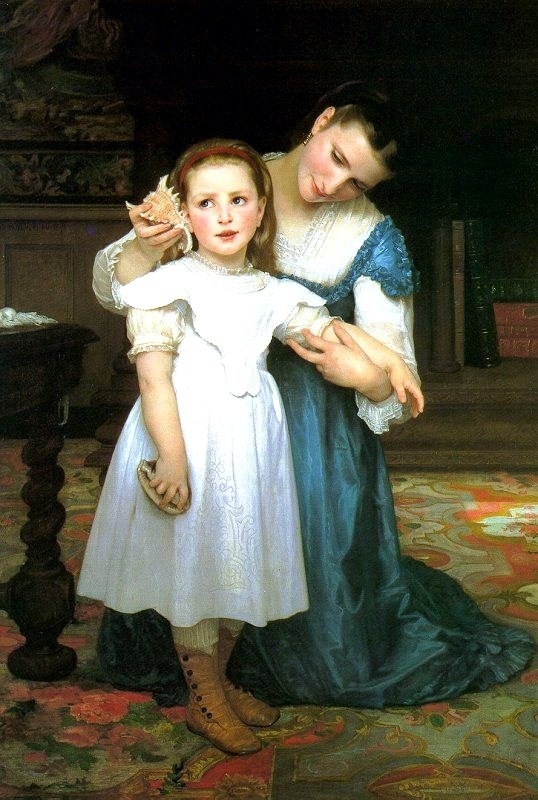 They knew it was important to look after their own children and guide their behaviour. They knew that housekeeping was a full time job. It was instinctual. I believe today that we have on our hands a lot of disenfranchised women, who do not know where they belong or where they are needed or where they can best use their talents. 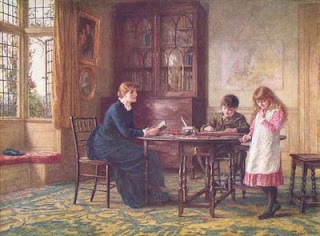 Certainly, the home provides a place of freedom, where a woman can try just about anything she wants, in order to develop talents, all the way from writing to designing to teaching her own children. There is more variety in the things she does, and if she needs to rest, she does not have to worry about her job being on the line for taking a nap. "Affording" It: To relegate full time home making to a manner of financing or expense , is to give it a materialistic value. I am speaking from the view of a Christian who is committed to following the Titus 2 model. There is no mention of money in these passages. It is written in the Bible. If God commands something, and a person steps out on faith to do it, they will find that through courage, He will give them strength to do it. You might look up the word "courage" in the Bible, and do a word-study of it. While it is true that men supported their families as late as the 1950's, it is not true that the cost of living was cheaper. Most people did not have any credit to charge up huge amounts for their tractors or cars, and they had to pay cash for large items which they can get on credit today. 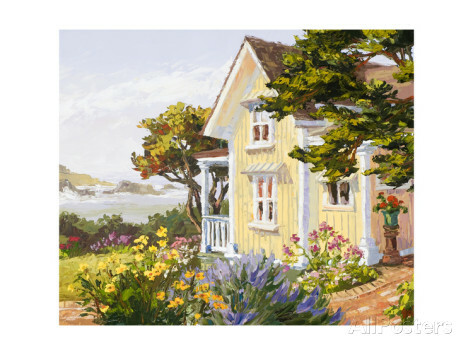 It was difficult, because you had to wait a long time to save up to get conveniences that come with the house today. You would have to make do with some little thing, til you could save up for a stove or a fridge. Yes, men supported their families, and more women stayed home and managed their family income, but it was not necessarily cheaper. It was a commitment involving the heart, and with it came the development of knowledge of how to keep house and keep the expenses down, and even make a profit. The problem is not whether houses cost more or less or salaries are bigger or smaller. The problem is one of the heart, one of determination and of commitment, and ultimately, one of belief. 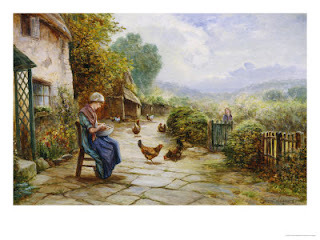 Why Women Wanted to Be Home: There was a natural instinct in many women that made them want to be at home looking after their own husbands and their own belongings and their own children. Women without children, in general, still felt the high calling of being home, and being the star of that home. There was not as much pressure on them to leave and get a job, and if there had been, where would they go? This was before the chain stores, factories, fast food places and office pools. 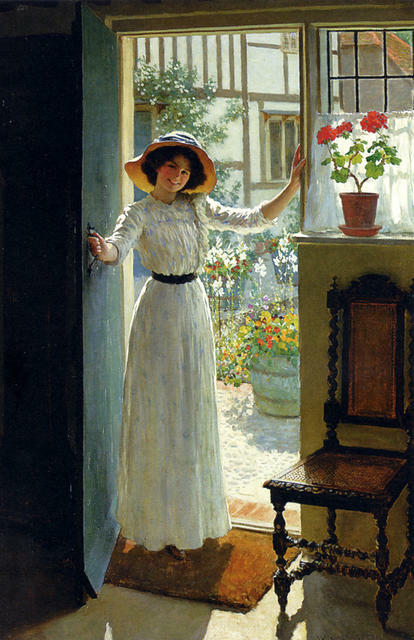 A woman at home would have been secretly laughing if someone had offered to take her away from her home and make her go to work outside the home. Make no mistake: it is exhausting to work outside the home. 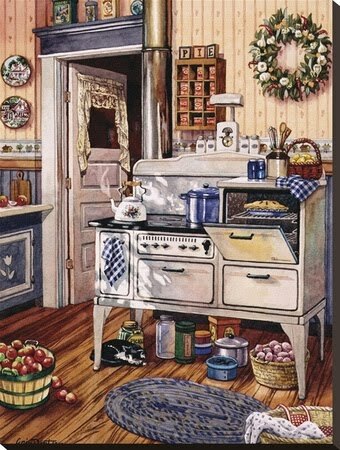 Homemaking can also be tiring but it is regulated by the woman and she can choose what to do, when to do it, and how long she will spend doing it. At home, she is free to accomplish as much as she likes, rest when she likes, pursue an interest in something she has a passion for, or go shopping when she wants to. That can hardly be said of the regime of the workplace. 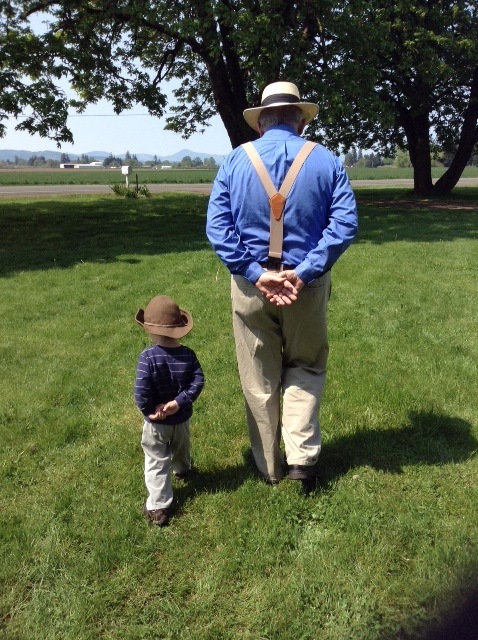 If you have children, you have a solemn duty to invest yourself in their lives. If you are away from the home, putting your children in the care of other people, you are missing out on the fleeting years of their youth. They need you the most, when they are young. It is best to put aside anything else and concentrate on them. You only have one chance at your child's upbringing. 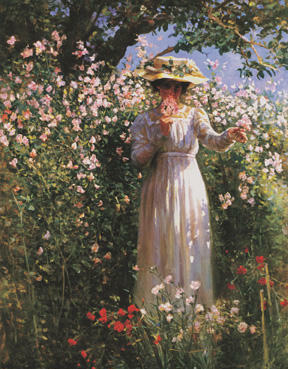 One reason that I show the clothing of the Victorian period, was that it was the closest period to our own generation, where men and women dressed so distinctly differently. Differences in male and female clothing could be seen details such as collars, cuffs, buttons, sleeves, waists, hems, pockets, and hats. Such elements always had male and female differences. The womens clothing was most often tailored to fit the woman's body, rather than one-size fits all, or unisex. 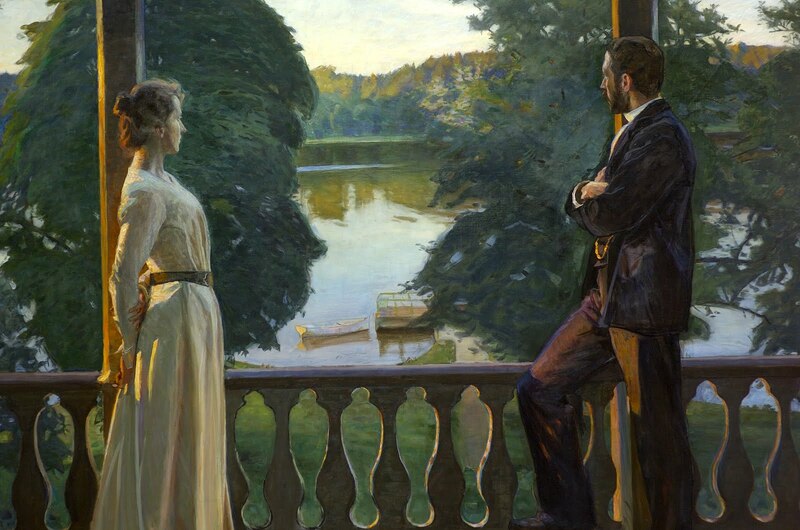 From a distance, a man was easily distinguishd from a woman. I wish it were true, today. 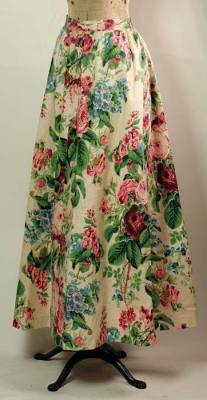 I found this skirt at Victorian Trading Company catalog, online. It was nearly $80.00, so I searched around to see how I could imitate it for $10.00. 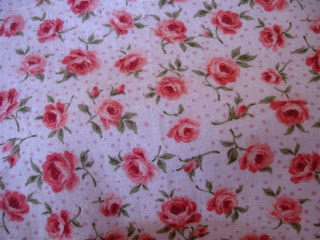 I found the fabric, below, which is cotton flannel. 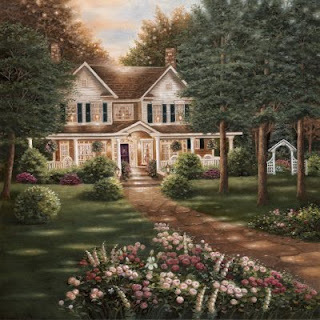 The Victorian Trading Company skirt and this flannel fabric I bought, reflect the colors in this painting of the Victorian house, above. I draped the fabric on the dressform, to show what I want the skirt to look like. 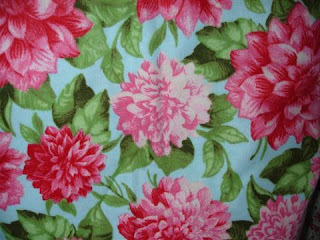 I will make a vest to go with it, and wear it with a white cotton flannel blouse. The fabric is perfect for cooler months, yet cheerful and can be worn at home with an apron. When you want to go out, just remove the apron. 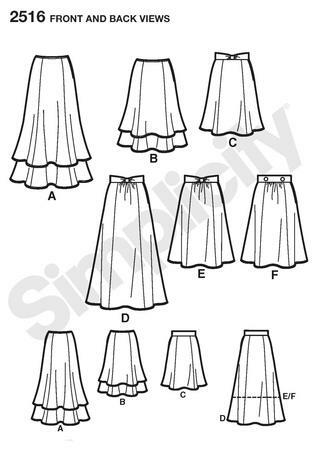 I might use a pattern similar to this Simplicity pattern, View D. If you are a beginner, do not choose a pattern like this. I will try to get time to post a few patterns that just have a front and back, and not a lot of pieces, for beginners. When choosing a pattern, look at the back under "suggested fabrics" and make sure the garment was designed for WOVENS such as cottons and denims and other natural fabrics. IF you try to sew a cotton fabric , using a pattern made for STRETCH fabrics, you will not have good results. I chose the paintings, above, to show some of the elements in women's clothing that made them so feminine and opposite of men's clothing. This is another ensemble at Victorian Trading Company, and this is the pattern I will be using. It is an older pattern that I have had around for years. The vest will be the same fabric as the skirt. You do not have to have very many skirts and blouses for winter. 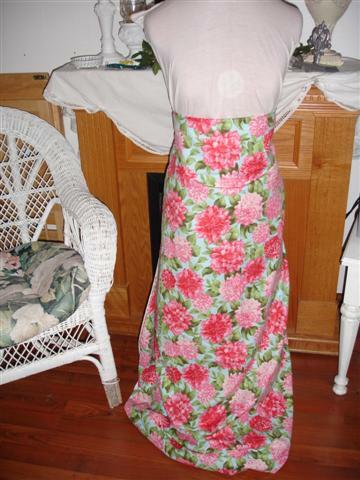 One or two will do, and you can make all the aprons you like, to put color and mood into the outfit for home. Do not be influenced by the myths about 18th or 19th century clothing, in example, the false belief that the clothing was not adequate and that the women did not like it. On the contrary, clothing was a top priority for women, and it was very appealing and beautiful. Re-enactors have said that the clothing was a lot more comfortable than modern clothing. 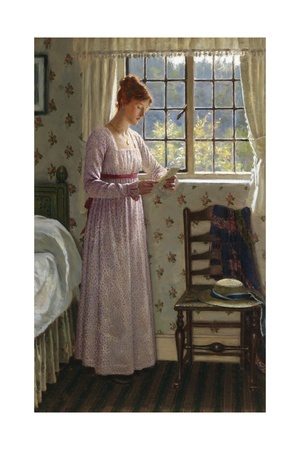 If you will scroll through my previous posts on this subject of clothing, you will see quite a few paintings of women with this clothing, which was actually quite casual. In fact, the every day wear was not very fancy. 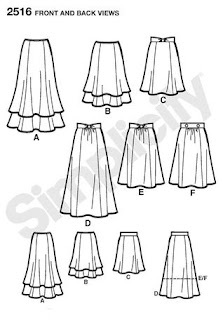 Special occasions, such as parties at home, required more elaborate trims (ruffles and lace) but daily wear was really quite simple: a skirt, an blouse, an apron. 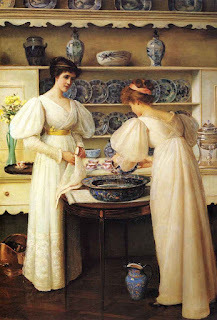 Another myth about Victorian or Colonial clothing and anything before the 20th century, is that women were limited in their activities, while wearing these clothes. The paintings and photographs show that this is simply not true. 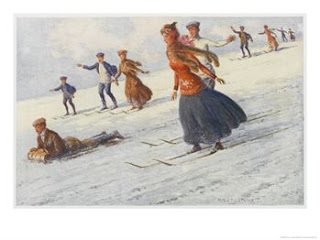 Women did a lot more than they do today, on the whole, wearing long skirts and dresses. 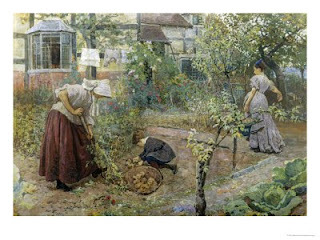 They often had to walk everywhere, and they worked hard in their gardens and their homes. The 20th century progressives spread such myths in order to make the future generations despise the customs and beliefs of the previous generations. What they had to replace it, has sent fashion in a total tizzy. Look around you and see women who, like Eve, have believed the hairdressers and the clothing designers and fallen for just about anything. Like the Emperors New Clothes, people walk around in public in things that pose for clothes. Has anyone ever wanted to tell the truth about the clothing that is worn today? Well, be sure to post anonymously. Be sure to click on the pictures and look at all the wonderful details of things of the 1800's. This is a collection of paintings from the 18th and 19th centuries, showing women in various forms of work and leisure, at home. Every era has had its share of " wars and rumors of wars," (Matthew 24:6) and every woman who has ever lived on the earth has lived in a time when there has been something going on that threatened her home life. During these times, women knew it was especially important to be there for their families and to keep their home life stable. In times such as these, we must remember to pray for those in political office, (First Timothy 2:2) who are appointed to serve us and carry out God's will. They are not to be a terror to those who are doing what is good and Biblical, but to those who do evil. According to the Bible, the purpose of earthly government is to reward the good and punish the wicked. (Romans 13: 3-4) As members of congress, judges and the executive office move further away from the Articles of Confederation which formed the Constitution, we need to remind them of the dangers of communism and socialism. Through blogging and email, women at home can warn of the unbiblical role of government in private enterprise and in home life. We also need to remind people within our sphere of influence that no matter how utopian something sounds, it is wrong if it allows the government to intervene where God has already jurisdicted. 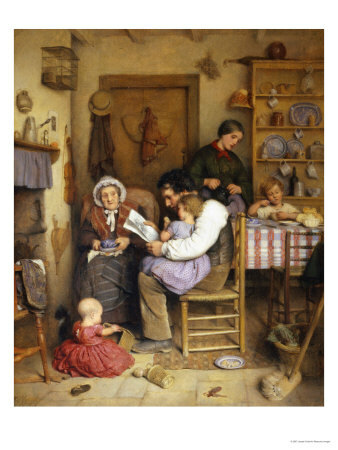 God has wisely created the family to serve the social, economic, educational and spiritual needs of the home. There is a danger each time the government tries to provide services to replace the functions that belong to the home and to God. The government has no business becoming father and mother to its citizens, from birth to death. Knowing that this had been attempted other countries in the past, (with tragic results) our forefathers wisely planned a different kind of government that would have the least interference in the personal lives of people: in their homes, their businesses, their property, their religion and the education of their children. There is always something the women at home can do, to alleviate sufferring under an oppressive or tyrannical government. As mentioned previously, they can always pray. The Bible says to pray without ceasing. (First Thessalonians 5:17). When a prayer seems to be unanswered, someone may get discouraged. We are not supposed to pray just one time and give up if there is no anwer. We are to continue to pray. Political uncertainty and terror stops you in your tracks, but the beauty of the Bible is that it provides comfort and guidance for this very thing. Much of the New Testament was written during the time of the Caesars, (many who were harsh rulers), to give Christians stability and show them how to live during uncertain times. During this time, prison guards were amazed to find the imprisoned Christians singing in their cells. (Acts 16). No matter what, Christians have a job to do, and a purpose in life. The things that the early Christians during times of terror were told to do were things like: The older women were to teach the younger women about marriage, motherhood and housekeeping. The younger women were to marry, bear children and keep house. Men were told to provide for their own families. Children were told to honor their parents. Mothers were to teach their daughters how to be good homemakers and prepare them to be wives and mothers. The Bible warned about being lazy, and commanded people to work with their own hands and to mind their own business. Knowing that most of the people in the Bible lived during some sort of political upheaval and persecution, make a big difference in your motivation at home. God wanted his people to be rich in good works and to pray for the government.During those trying times when rulers were against them, he commanded fathers to bring their children up in the teachings of the Bible. These things do not come natural in terrible times, but like Moses, Elijah, God gives us something worthwhile to do when in times of uncertainty. It is in the doing of these things that life becomes worth living and even beautiful. The commands of God were written to people in trials. They were still to do their duty before God. No matter what happens, we are to glorify God and to praise him and to teach what is right, while we live. The adults of the past had reassuring words for children who worried about the events of the world. Some of you might remember them saying things like, "The Bible says there will be wars and rumors of wars, and that evil men will wax worse and worse, (2nd Timothy 3:13) til the end of time. These things will always go on, in every generation. Meanwhile, our duty is to live right and to show a good example to others." tant, for she owns the world of her home. It is her domain and she can rule it. She can clean it, decorate it, furnish it, maintain it, and share it. She can use her home as a classroom to teach other women and young girls. 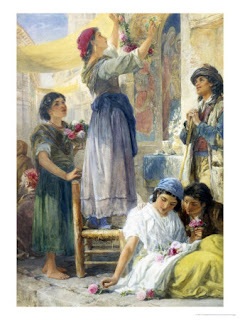 She can also affect the world if she particiates in free enterprise, by shopping or selling the products of her hands. Blogging and email give the homemaker a window to the world and a chance to influence others for good. If a woman will teach her own children at home, she can help change the world in just a few years, by showing them the difference between Biblical economics and Communism. She will then turn out a generation of young men and women who will not look to government to provide for them, but will creatively work with all their might in free enterprise. She will produce a generation that will help govern a free society. From the home front, much can be done to counteract the world's sorrows. Study the paintings above. In the times they were painted, there were terrible things going on in world. Yet the artists were still able to portray something normal and good. I think this is what we should do, in times of crisis. 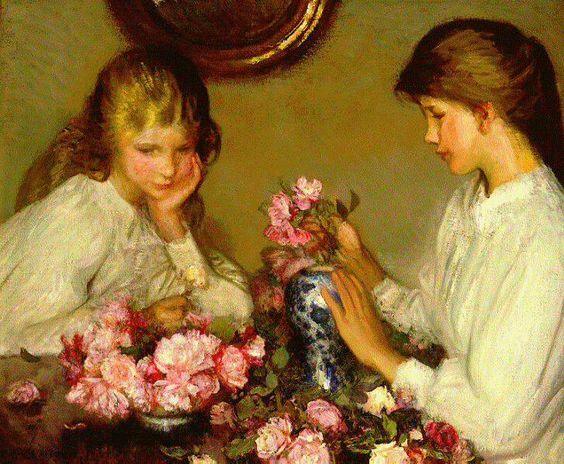 We should do something really normal: fix a meal, clean a room, have a tea party for women to brighten up their lives, re-decorate, sort things, sew a dress, teach a young girl, write a letter, and provide some sanity to the lives of others. Protect your family from the constant stress of the government media. It is designed to keep everyone upset all the time and to mobilize people to stand in long lines for rice, corn or so-called health treatments. Each year they broadcast some new, future calamity which does not actually materialize. Women at home must be wise and realize it is a distraction to their real purpose in life, and cling to that which is good. (Romans 12:9) We are to center our thoughts on whatever is good, pure and lovely. Home is the perfect place for this. 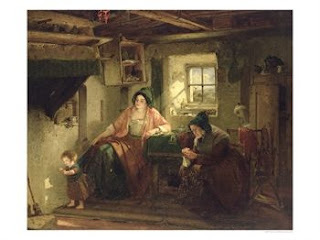 Paintings are available at allposters.com and will be made available soon at http://www.lovelywhatevers.blogspot.com/ Check that site for more lovely paintings of life in 18th and 19th centuries. These are all Copyrighted photos: all rights reserved! Do not duplicate or put anywhere on the web. How do you know when a potato is ready? When the blossoms and the vine dies and looks lifeless. I am quite sentimental about potatoes. Yet, it is somewhat more glorified if my dress matches the potatoes. This cotton fabric did not stain or tear, and looked just like those pink skinned potatoes. 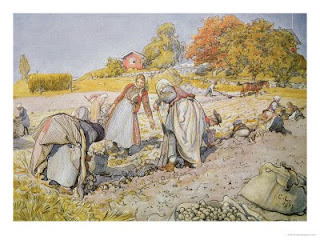 Please notice the back grounds of the potato diggers in the paintings of the 1800's and take in the pretty clothing of the homemakers of the 1800's, depicted there. 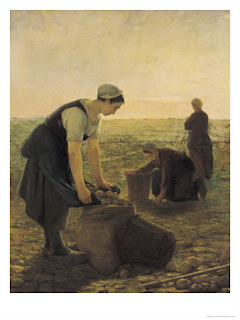 As I love potatoes I was just thrilled to find several artists that capture the women planting, harvesting and preparing potatoes. This is true beauty! 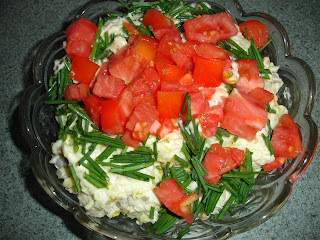 ...or making a garden potato salad with tomatoes and chives.. Potato Scones, which are always a great hit at a tea party. Take 6 cups of mashed potatoes and mix in one cup of unbleached flour. Lay the mixture on a flour covered piece of wax paper and pat to about an inch thick. Cut into circles or squares and fry both sides in hot olive oil until brown and slightly crisp on each side. . Let drain on a paper towel and serve with butter or jam or honey. 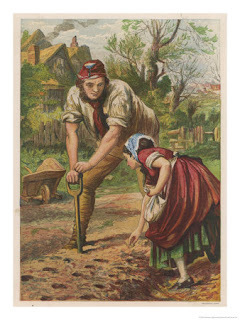 Our parents wisely put us to work when we were very young, planting and harvesting potatoes. 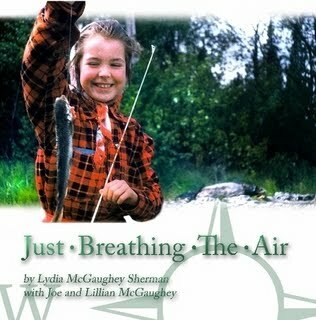 If you have read my book, "Just Breathing the Air, " you would have seen the photograph of me with my first potato crop, which I sold to a local grocery store. I have not stopped loving the discovery of dozens of beautiful pink, gold, or purple potatoes beneath one dead stalk, which began with one tiny potato. One reason I like potatoes so much, is that I know how comforting they are, as a food, even when you do not feel well. They are loaded with nutrients that improve your mood and can help you feel better when you are not well. One way to fix them for a sick person is to cook them til they are soft enough to mash, and mix them with other boiled produce such as green beans, brocoli, carrots, etc. Take all these cooked vegetables and blend them in a blender or mash them or use a mixer and puree them. Leave some of the broth from the saucepan, and blend it up til it is a soup. Then pour it into a bowl and top it with croutons, and it seems to revive a person suffering from illness. One reason for this, is that potatoes are easily digestable. Potatoes are packed with Vitamin C and B-complex, and minerals like potassium, magnesium, phosphorous, and zinc, which are all good for your skin!! You can make a face pack out of crushed raw potatoes and honey, and you can use a slice of potato on a burn or cut to heal it. 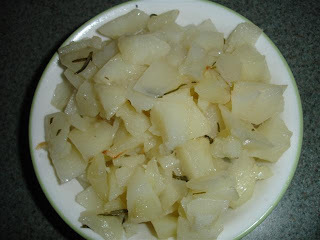 Eating cooked potatoes can help prevent viral infections like colds. Eating potatoes regularly can reduce high blood pressure and prevent sugar cravings, thus lowering the chances of related diseases. It keeps the brain active and alert, prevents heart disease, kidney stones, and diarrhea. No wonder potato soup is a favorite among potato-lovers. For me, it is the entire outdoor experience that makes me a potato-lover. You do not have to be in the country to have potatoes. Just turn a section of your yard into a miniature farm and you'll experience the joy of having your own food, unadulterated by chemicals of any kind. You must dig a shallow, long ditch, and plant the potatoes, sprout side up (or a whole sprouted potato) in the dirt that makes the hill section. If you will make a distinct mound for each plant, they will be easier to find when it is time to dig. Dig a wide area around the hill and not too close to the vine, so that you wont cut the potatoes with your shovel. Working outside seems to clear the mind of troubles, and renew your optimism. 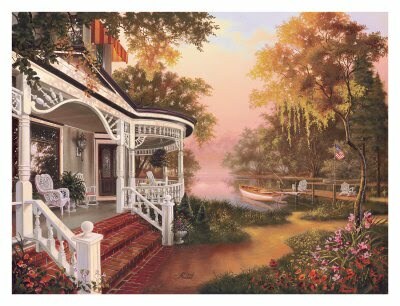 When you return to the house, you feel you can do anything! 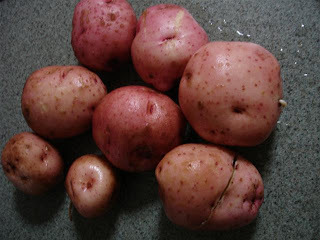 Pretty potatoes from my garden: Yukon Gold, White, and Purple. 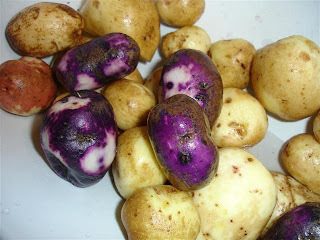 The purple potatoes are purple inside, as well, which adds color to any meal. Your local farmers market, and some grocery stores that have good produce, is a great way to get the potatoes you need if you do not grow them. You can use potatoes for the entire meal and put a variety of toppings on them. If you have limited space, try growing them in a large container. You will not even have to dig them. 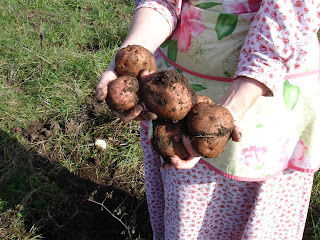 Just pull up the potato vine or dump the pot of soil, and see those wonderful potatoes.